The individual rooms at the Atlantic Hotel are the ideal solution for both business and leisure stays in Paris’s 8th arrondissement. Our individual rooms are fully equipped and boast a contemporary decor. 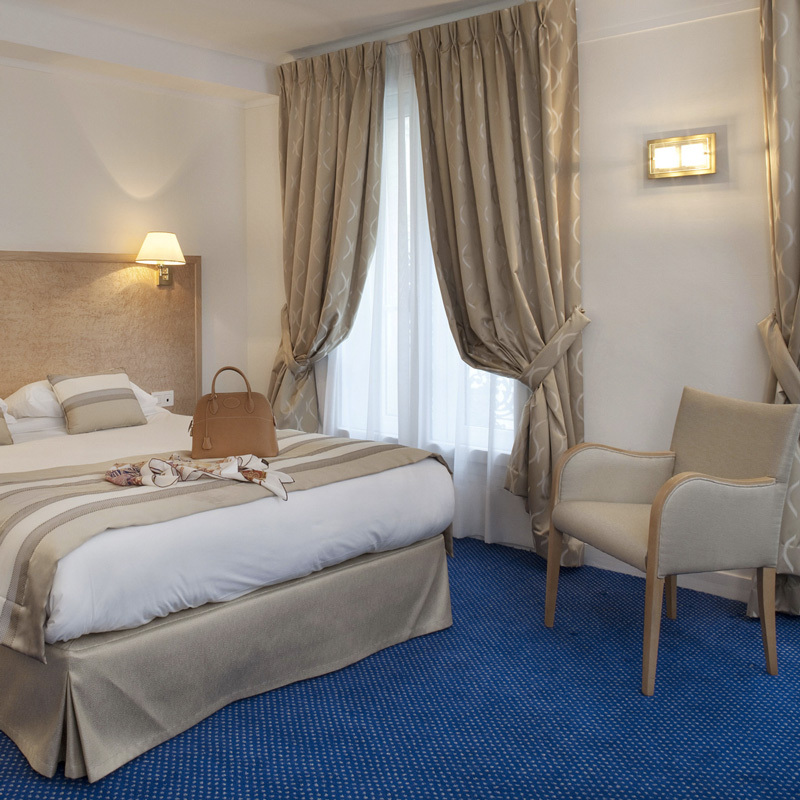 The classic double rooms at the Atlantic Hotel offer you a warm welcome in the heart of Paris, near the Opéra. Fully renovated and carefully decorated, our classic double rooms offer all modern conveniences. 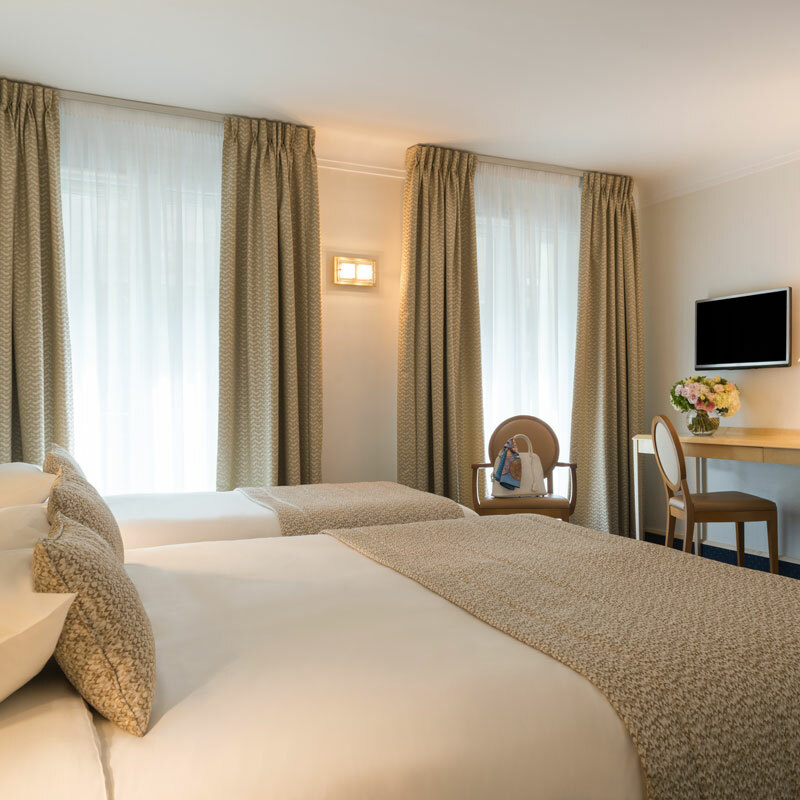 Enjoy a comfortable stay in one of the superior double rooms at the 3* Atlantic Hotel, in the heart of the Europe district and within arm’s reach of the department stores along Boulevard Haussmann. 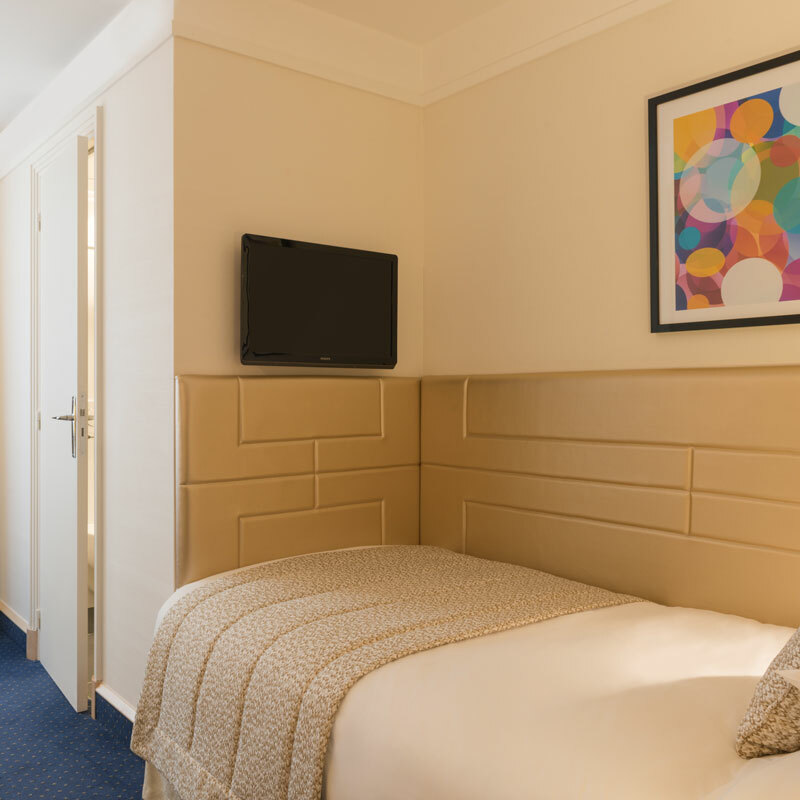 Our bright and spacious superior double rooms offer all the conveniences for a comfortable stay. 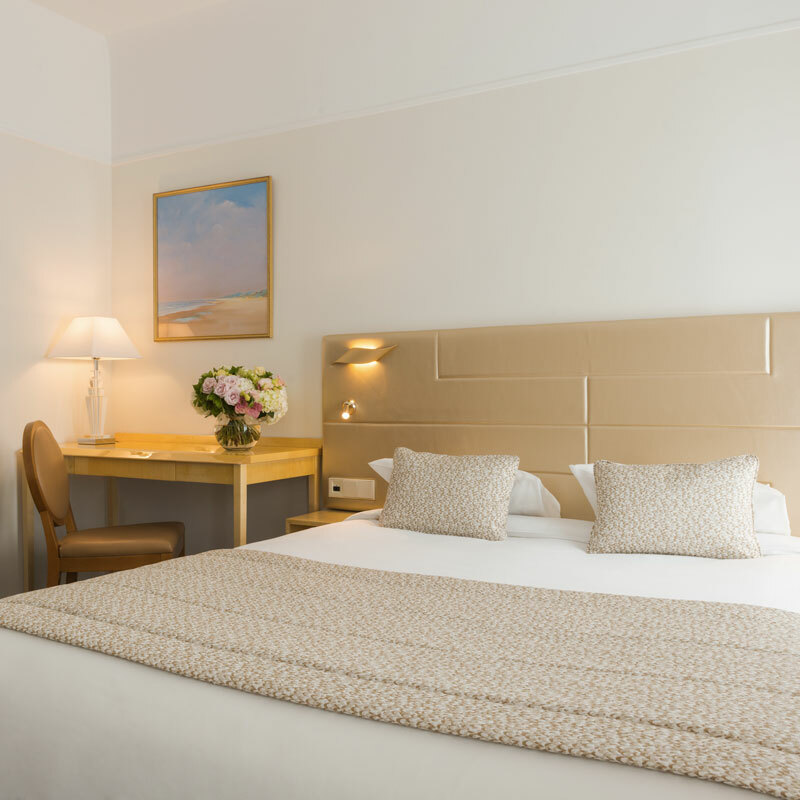 Deluxe rooms are the most spacious in the Atlantic Hotel and provide a comfortable stay in the heart of Paris’s 8th arrondissement, just a stone’s throw from the Opéra and department stores. Our bright and stylish luxury rooms boast a range of high-end services and amenities. Some have been specifically designed to meet the needs of people of reduced mobility.